NDP candidate Katherine Swampy has experienced racism all her life, but the hurtful texts and Facebook posts and rudeness at doorsteps finally brought her to tears. Katherine Swampy has run up against racism all her life. 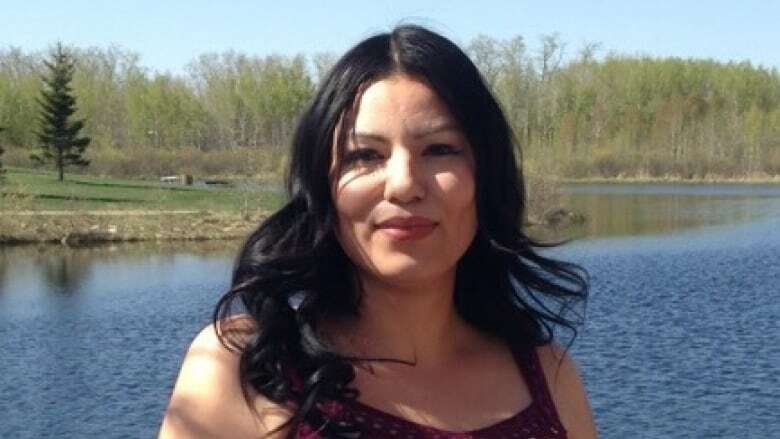 The 29-year-old university graduate grew up at Maskwacis, a First Nation community that serves four reserves south of Edmonton. "It's nothing new. I'm aboriginal. I look aboriginal." But when she stepped forward to run in the provincial election for the NDP, she was truly shocked by the racism she encountered. "It started right from the get-go," she said. 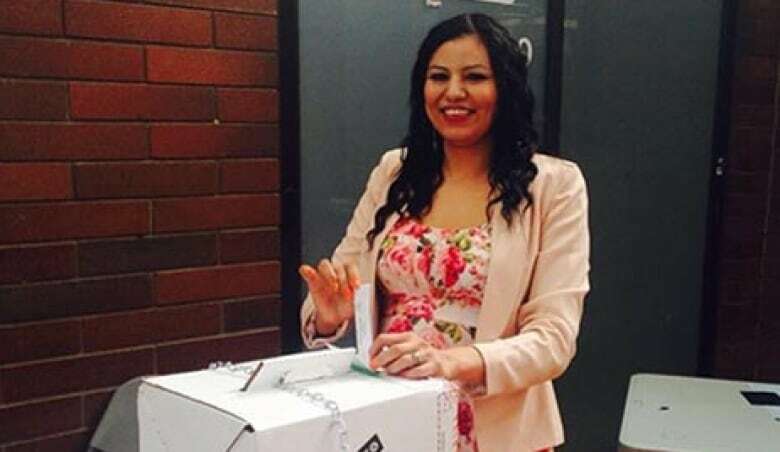 "As soon as I started my campaign, I started getting e-mails, I started getting Facebook mail, text messages, and just people — all out, just rude, ignorant behaviour — telling me they didn't want to vote for me because I was native." One person told her to "quit trying to turn Alberta into a reserve," she said. While some people in the Drayton Valley-Devon constituency closed their doors in her face, others told her they supported the NDP, they wanted to vote NDP, but would not vote for "an Indian." "I was quickly reminded there are still people out there who are ignorant and arrogant, and it's a shame." In fact, she said, sometimes was hard to tell who were her supporters and who were the racists. The comment that hit her hardest was posted on her Facebook page. "It said, 'I support Katherine Swampy and I support the NDP. It's just too bad she has a higher chance of turning up missing than she does of winning this constituency.'" "That one really struck a nerve," she said, describing how a childhood friend had been murdered in Calgary just months before. Swampy said she kept the comments to herself, only talking about the racism once the campaign was over. "I didn't want to focus the campaign on something like that," she said. She estimated she received more than a dozen racist social media comments every day, but refused to let the comments, the snubs, the hate get to her. "I did my best to keep composure. It was hard. It really was." And while the number of supportive messages far outweighed the negative, near end of the campaign, in the last days before the election, it all got to her, she said. "I did shed a few tears, I admit." Then she thought of her supporters, especially the young women — indigenous and non-indigenous — who messaged that she inspired them. Swampy intends to prove the haters wrong by running in the same riding for the federal NDP in the next election. The economics major said she knows how to read a balance sheet, and while she may be what some people fear, she's the inspiration for so many more. "This is something that we should be looking forward to," she said. "To see aboriginal leaders leading more than just their communities."